Cancer is a group of diseases involving abnormal cell growth with the potential to invade or spread to other parts of the body. Not all tumors are cancerous; benign tumors do not spread to other parts of the body. Possible signs and symptoms include a lump, abnormal bleeding, prolonged cough, unexplained weight loss and a change in bowel movements. While these symptoms may indicate cancer, they may have other causes. Over 100 cancers affect humans. Tobacco use is the cause of about 22% of cancer deaths. Another 10% is due to obesity, poor diet, lack of physical activity and drinking alcohol. Other factors include certain infections, exposure to ionizing radiation and environmental pollutants. In the developing world nearly 20% of cancers are due to infections such as hepatitis B, hepatitis C and human papillomavirus (HPV). These factors act, at least partly, by changing the genes of a cell. Typically many genetic changes are required before cancer develops. Approximately 5–10% of cancers are due to inherited genetic defects from a person's parents. Cancer can be detected by certain signs and symptoms or screening tests. It is then typically further investigated by medical imaging and confirmed by biopsy. Many cancers can be prevented by not smoking, maintaining a healthy weight, not drinking too much alcohol, eating plenty of vegetables, fruits and whole grains, vaccination against certain infectious diseases, not eating too much processed and red meat, and avoiding too much sunlight exposure. Naivex is an antiviral drug designed to treat HIV-1 infection in adults and children 12 years of age and weighing 40 kg or more as part of combination antiretroviral therapy. 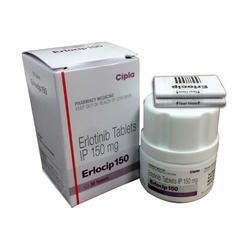 The drug is recommended for use in patients who have not received therapy ("naive"), and in patients with HAART. 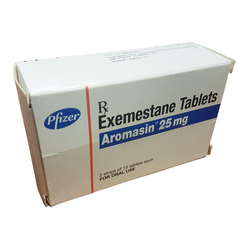 In some cases, it can be used in patients with partial resistance to integrase inhibitors. Manufacturer - Hetero Ltd, India. The active substance is Dolutegravir. Dolutegravir in 2013-2014 is approved in many countries of the world as one of the components of highly active antiretroviral therapy, such as the USA, Canada, Mexico, Brazil, the EU, Russia, Japan, Australia, South Africa. Dolutegravir inhibits HIV integration by binding to the active region of integrase and blocking the chain transfer during the integration of retroviral deoxyribonucleic acid (DNA), which is necessary for the HIV replication cycle. In vitro, dolutegravir is slowly separated from the active site of the wild-type DNA integrase complex (half-life of 71 hours). - Hypersensitivity reactions to dolutegravir (and auxiliary substances). 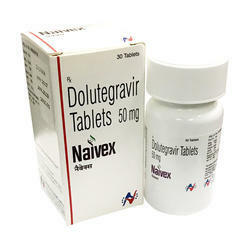 Dolutegravir is rapidly absorbed after ingestion. The average time to reach the maximum concentration is 2-3 hours. When you take 1 time per day, the pharmacokinetic steady state is reached approximately 5 days after the beginning of the oral administration. Food increases the degree and reduces the rate of absorption of dolutegravir. These changes are generally clinically insignificant, so Instgra can be taken regardless of food intake. However, patients infected with HIV-1 with a certain resistance to integrase inhibitors are advised to take Naivex with food. Co-infection with hepatitis C does not matter for the pharmacokinetics of dolutegravir. Data on co-infection with hepatitis B are limited. - Impaired immune system. Infrequently: a hypersensitivity reaction, a syndrome of a restoration of immunity. - Disorders of the psyche. Often: insomnia. - Disorders of the nervous system. Very often: a headache. Often: dizziness, unusual dreams. - Disorders of the digestive tract. Very often: nausea, diarrhea. Often: vomiting, flatulence, pain in the upper abdomen. Infrequent: pain in the abdomen, discomfort in the abdomen. - Disorders of the liver and biliary tract. Infrequently: hepatitis. - Impaired skin and subcutaneous tissue. Often: rash, itching. General disorders and disorders at the site of administration. Often: fatigue. - The simultaneous use of dolutegravir and other drugs that inhibit UDP-HT 1A1, UDF-GT1A3, UDF-GT1A9, CYP3A4 and/or Pgp, may increase the concentration of dolutegravir in blood plasma. - Contraindicated simultaneous reception with dofetilide. 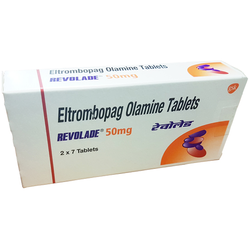 - The simultaneous use of dolutegravir and etravirine is not recommended unless the patient receives simultaneously atazanavir/ritonavir, lopinavir/ritonavir or darunavir/ritonavir. - The drug should not be administered together with antacids containing polyvalent cations. It is recommended to use dolutegravir 2 hours before or 6 hours after the application of these agents. - Dolutegravir may increase the concentrations of metformin. It is necessary to monitor patients during therapy, and metformin dosages may need to be adjusted. Composition: One tablet consists of an active ingredient - Entecavir (1 mg.) and additional excipients. Packing: It is delivered in a plastic jar, with a total volume of 30 tablets. 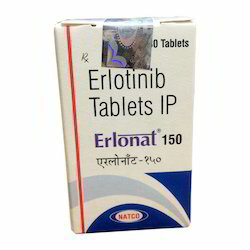 ENTEKOR 1mg is successfully used for the therapy of chronic hepatitis B. A more effective drug, in comparison with interferon, is a new drug formula designed to directly inhibit the protease of the HBV virus. 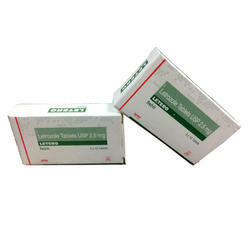 ENTEKOR 1MG suppresses the replica of the HBV virus in all three stages, penetrates into the cells affected by the virus, and prevents the splitting of the protein of the viral particle, thus affecting the process of reproduction of the viral RNA. The recommended dose is 1 tablet per day. Take inside on an empty stomach. In the presence of pathological processes of the liver or kidneys of various origin, the dosage is selected strictly individually. 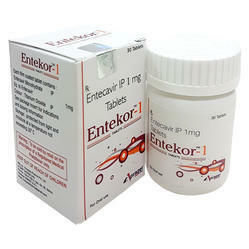 Entekor (Entecavir 1mg refers to new drugs from the group of nucleoside analogues for the treatment of chronic HBV infection. It is a carboxylic analogue of 2'-deoxyguanosine, rapidly transforming into a cell in an active form, suppressing the replication of HBV in all its three stages - initiation, elongation, termination. Conducted studies of the efficacy of Entecavir in the treatment of patients with chronic hepatitis B showed good tolerability, a high safety profile, a higher efficacy than Lamivudine, and a lack of resistance after 2 years of administration in patients previously untreated with nucleoside analogues. The efficacy of the drug for prescribing patients resistant to Lamivudine was also demonstrated. In all of these cases, Entecavir can be considered the first-line therapy for HBV infection. 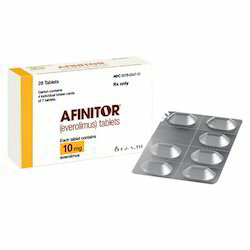 We are a trustworthy retailer and exporter engaged in offering an ample assortment of Afinitor Tablet. Our vendors' experienced professionals use finest quality chemical compounds as well pioneered techniques in the processing of this tablet at well-maintained laboratories. 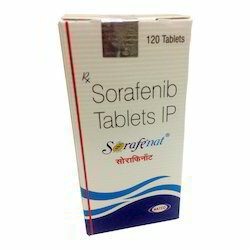 The offered tablet is an antineoplastic agent and is extensively used to treat certain types of breast cancer, kidney cancer or brain tumor. 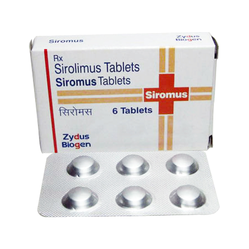 Our provided tablet is available in safe packaging option to maintain its purity. 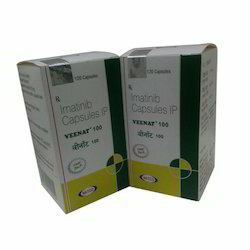 Veenat includes imatinib and is a world class medicine known as protein-tyrosine kinase inhibitor. 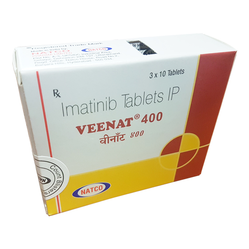 Veenat is an effective medication for curing leukemia (chronic myeloid leukemia or cml) and gastrointestinal stromal tumors (gists - a type of tumor that grows in the walls of the digestive passages and may spread to other parts of the body). 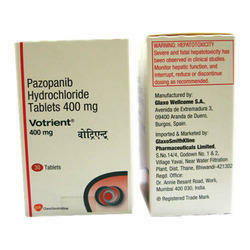 Veenat may also be consumed to control cancer from increasing in patients, after surgical removal of gist. 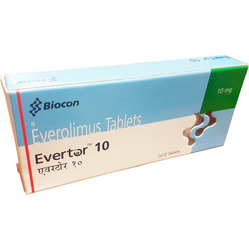 How it works Evertor 10mg tablet suppresses the activity of body’s immune system and prevents rejection of the transplanted organ. Colours : Indigo Carmine & Titanium Dioxide. 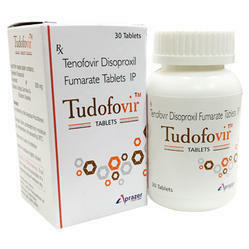 INDICATIONS : TUDOFOVIR is indicated in combination with other antiretroviral agents for the treatment of HIV-1 infection. 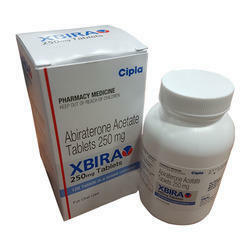 Anastrozole is used to treat breast cancer in postmenopausal women. Anastrozole is a pill, taken by mouth. You should take anastrozole at about the same time each day. If you miss a dose of anastrozole, take it as soon as you remember unless it is almost time for the next dose. Do not take a double dose to make up a missed dose. You should not stop taking anastozole without discussing with your physician, even if you feel well. 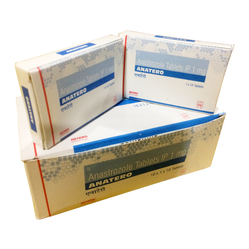 The amount of anastrozole that you will receive depends on many factors, including your general health or other health problems, and the type of cancer or condition being treated. Your doctor will determine your dose and how long you will be taking anastrozole. Most people do not experience all of the anastrozole side effects listed. Anastrozole side effects are often predictable in terms of their onset, duration, and severity. Anastrozole side effects will improve after therapy is complete. Anastrozole side effects may be quite manageable: There are many options to help minimize or prevent the side effects of anastrozole. Aprepitant is used with other medications to prevent nausea and vomiting that may occur within 24 hours after receiving cancer chemotherapy treatment. It is also used with other medications to prevent delayed nausea and vomiting that may occur several days after receiving certain chemotherapy medications. Aprepitant is also used alone to prevent nausea and vomiting caused by surgery. Aprepitant is not used to treat nausea and vomiting that you already have. Aprepitant is in a class of medications called antiemetics. It works by blocking the action of neurokinin, a natural substance in the brain that causes nausea and vomiting. Aprepitant comes as a capsule to take by mouth. To prevent nausea and vomiting caused by cancer chemotherapy, aprepitant is usually taken once daily, with or without food, during the first few days of your cancer chemotherapy treatment. You will probably take aprepitant 1 hour before your first dose of chemotherapy, and then each morning for the next 2 days. To prevent nausea and vomiting caused by surgery, aprepitant is usually taken as one dose within 3 hours before the start of surgery. Follow the directions on your prescription label carefully, and ask your doctor or pharmacist to explain any part you do not understand. Take aprepitant exactly as directed. Do not take more or less of it or take it more often than prescribed by your doctor. 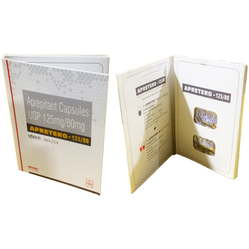 Aprepitant capsules come in two different strengths. Your doctor may prescribe both of the strengths for you to take at different times. You should be careful to take the right strength at the right time as directed by your doctor. Aprepitant only works to prevent nausea and vomiting. Call your doctor if you already have these symptoms and do not begin to take aprepitant. When used to prevent nausea and vomiting caused by cancer chemotherapy, aprepitant is usually used only during the first 3 days of the chemotherapy treatment cycles. Do not continue taking aprepitant longer than instructed by your doctor. Treating certain types of breast, colon, or colorectal cancer in some patients. It may be used alone or with other medicines in some cases. 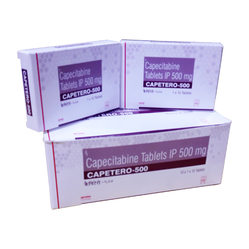 Capecitabine is an antimetabolite. It works by interfering with the production of proteins necessary for cancer cell growth and reproduction. 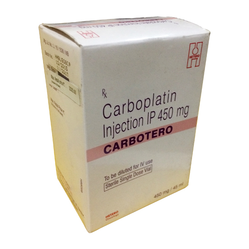 Do not receive any kind of immunization or vaccination without your doctor’s approval while taking Carboplatin. For both men and women: Do not conceive a child (get pregnant) while taking Carboplatin. Barrier methods of contraception, such as , are recommended. Discuss with your doctor when you may safely become pregnant or conceive a child after therapy. 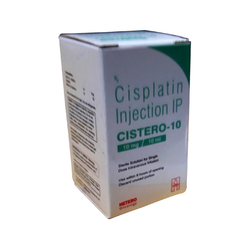 Cisplatin is used to treat various types of cancer. 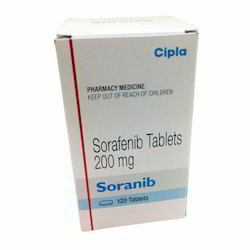 It is a chemotherapy drug that contains platinum. It is used alone or in combination with other medications to slow or stop cancer cell growth. 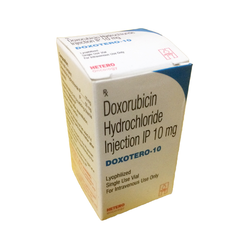 This medication is usually given by injection into a vein by a health care professional. The dosage is based on your medical condition, body size, and response to therapy. Courses of cisplatin treatment should not be given more often than once every 3 to 4 weeks. Consult your doctor or pharmacist for more details. 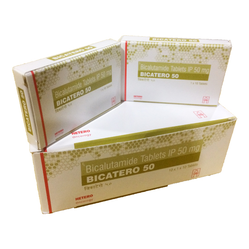 Darbepoetin alfa injection is used to treat anemia (a lower than normal number of red blood cells) in people with chronic kidney failure (condition in which the kidneys slowly and permanently stop working over a period of time). 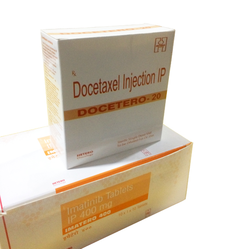 Darbepoetin alfa injection is also used to treat anemia caused by chemotherapy in people with certain types of cancer. 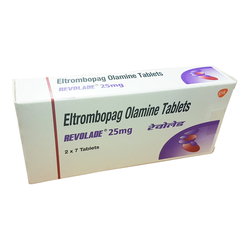 Darbepoetin alfa cannot be used in place of a red blood cell transfusion to treat severe anemia and has not been shown to improve tiredness or poor well-being that may be caused by anemia. 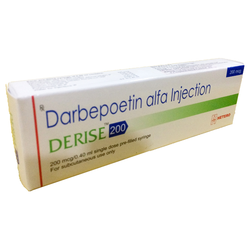 Darbepoetin alfa is in a class of medications called erythropoiesis-stimulating agents (ESAs). It works by causing the bone marrow (soft tissue inside the bones where blood is made) to make more red blood cells. Premedication with a corticosteroid pill starting a day prior to docetaxel infusion for 3 days is given to reduce the severity of fluid retention and allergic reactions. Your doctor will prescribe the exact regimen. 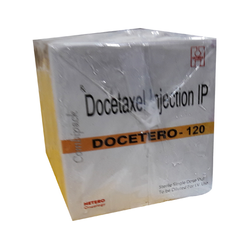 The amount of docetaxel that you will receive depends on many factors, including your height and weight, your general health or other health problems, and the type of cancer or condition being treated. Your doctor will determine your dose and schedule. The side effects of docetaxel and their severity depend on how much of the drug is given. In other words, high doses may produce more severe side effects). 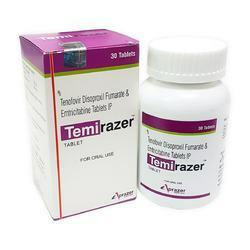 Temirazer is a far-reaching powerful antiretroviral sedate for the treatment of HIV-1 and HIV-2 contaminations in patients more than 18 years old. Can be taken correspondingly with other comparative medications. Temirazer is doled out to a gathering of non-nucleoside inhibitors with turnaround transcriptase, otherwise called a protease inhibitor. 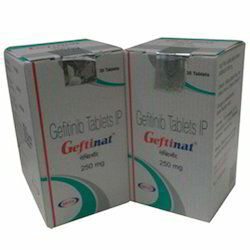 The medication contains two fundamental dynamic fixings - tenofovir and emtricitabine, because of which the medication has a viable impact in the battle against HIV contaminations, keeping the infection from spreading in the host's body. It ought to be noticed that Temirazer does not totally keep the danger of HIV transmission, but rather is a successful method to anticipate it. After various investigations in the United States, it has been demonstrated that this medication helps battle AIDS, and on the off chance that it is clung to, the danger of contracting HIV is decreased by 73%. It is additionally realized that Temirazer is an inhibitor of the hepatitis B infection, yet it isn't prescribed to utilize the medication with its endless shape. In the wake of finishing the course of taking Temirazer, individuals with HIV and ceaseless hepatitis B ought to be checked by their specialist inside a couple of months. 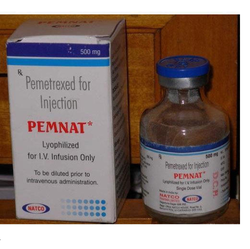 Pemnat 500mg is an anti-cancer ("antineoplastic" or "cytotoxic") chemotherapy drug. It is classified as an "antimetabolite". Premetrexed belongs to the class of chemotherapy drugs called antimetabolites. Antimetabolites are very similar to normal substances within the cell. When the cells incorporate these substances into the cellular metabolism, they are unable to divide. Antimetabolites are cell-cycle specific. They attack cells at very specific phases in the cycle. 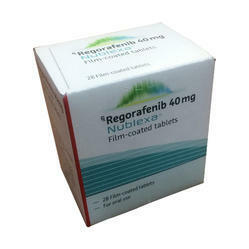 Natco Pemetrexed is used in the treatment of malignant mesothelioma and Locally advanced or metastatic nonsquamous nonsmall cell lung cancer. WHAT IS NATCLOVIR 250 MG CAPSULES ? Natclovir is an antiviral agent. It works by blocking reproduction of the CMV virus. It helps control CMV retinitis and decrease the risk of blindness. WHAT IS THE USE OF NATCLOVIR 250 MG CAPSULES ? It is used to prevent disease caused by a virus called cytomegalovirus (CMV) in people who have received organ or bone marrow transplants. CMV disease can lead to serious infections in the body, including an infection in the eye, called CMV retinitis, that can cause blindness. 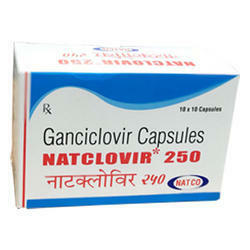 Ganciclovir 250 mg is also used to treat people with weakened immune systems (including people with AIDS) who have CMV retinitis. WHAT ARE THE POSSIBLE SIDE-EFFECTS OF NATCLOVIR 250 MG CAPSULES ?